Finding traction in the world of messaging applications, a market utterly dominated by a handful of killer apps and littered with a throng of forgettable upstarts, is a challenge that most wouldn’t bother with. The team behind Inbox Messenger is feeling confident in the face of adversity, though. The NYC-based outfit claim that they’ve cracked it – that they’ve dug to the heart of what people really want from a messaging app. But hasn’t WhatsApp already reached messaging nirvana? Millions of people might suggest as much. So what makes Inbox Messenger different? It comes down to creating a more personable, natural communication space, “re-designing the mobile conversation”. If that sounds like trite pretense, it’s not meant to – the developer has focused heavily on redefining what we expect from our chat apps. This translates to a stunningly spartan aesthetic – a masterstroke of refined, fluid interface design – laid over a framework of chat standards and a few genuinely intriguing new features. Admittedly, the things that Inbox Messenger lists as headline features might be things you haven’t specifically demanded in the past, but they do go some way to separate this app from the competition. For the paranoid, it’s now possible to switch to Privacy Mode simply by shaking your phone. In an instant your conversation is visually encrypted (well, more like obscured), making the text illegible to onlookers on both your phone and the person on the other end of the chat. Press and hold on certain lines within this mode, and that text becomes readable again. It’s a clever idea, turned off again with another quick shake. 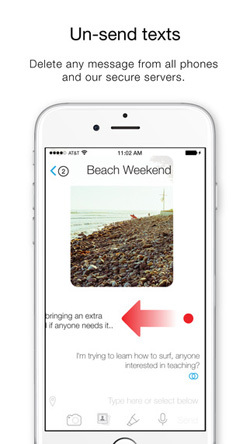 Another bullet point feature is the ability to delete sent messages. Whether you’ve said something you regret, made an embarrassing typo, or simply don’t want anyone else to read the message after your intended recipient has, a simple swipe of the finger deletes a line of text instantly and permanently. 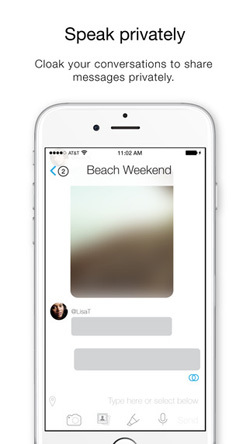 It’s another sideline privacy function that gives the user more control over the conversation. 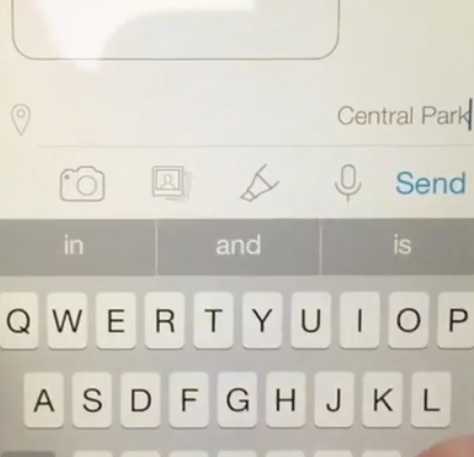 Those key features, as well as a system which automatically informs the user if the other person has taken a screen grab of the conversation (and sends a screenshot of the grab too), make Inbox Messenger seem a little obsessed with privacy, but the core function of this app is still about conversation, about sharing and communicating. The beautifully minimalist design style creates a comfortable, uncluttered space for your conversations. Lots of clean white space, with fine, crisp fonts, make it feel inviting – no distractingly flashy design bells and whistles. From within the conversation, there is no interface barrier between your text chats, sharing images, line doodles or brief voice notes and video clips. It’s pretty, tranquil and the flow between the various functions is flawless. It was clearly important to the Inbox team that this app acts as a consolidation of sorts – the features we use most, but simplified and a pleasure to use. 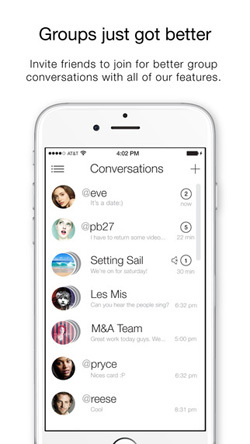 And they have succeeded for the most part; there isn’t much more we could ask for from a messaging app. Is Inbox Messenger a worthy alternative an existing (and widely used) app like WhatsApp? Sure. But is it a necessary replacement? The answer to that is shaded in grey. It’s a stunning bit of software, and blissful to use, but right now the biggest obstacle will be to get your friends to move over to Inbox Messenger, or you’ll have a very lonely time with it. Requires iOS 7.1 or later. Compatible with iPhone, iPad, and iPod touch. 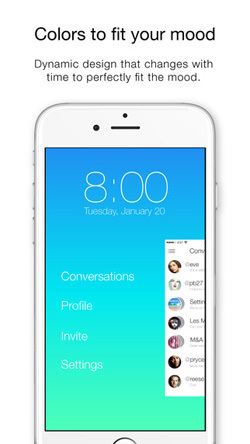 This app is optimized for iPhone 5, iPhone 6, and iPhone 6 Plus.